A new propeller company had a concept for an improved folding propeller for yachts. This type of marine propeller folds into a streamlined shape when the engine is stationary and the vessel is under way, so there is very little drag. When the engine starts, it automatically opens into a normal propeller shape. The shape of the blade is a compromise between efficiency, cavitation and low drag when folded. Testing had found a better shape for a blade and a new fully stressed design was needed. Coupland Bell consultants was asked to design the blade profile, produce a stressed design for a family of propellers and parameterise the 3D CAD model. This would allow the customer to enter a diameter and pitch and automatically produce a solid model of a properly designed blade. Our biggest problem was that the customer could not tell us the loads on the blades, or the thrust required. Propellers are normally designed for a particular hull, which clearly was not an option in this case. Our consultants started by studying the typical propeller size, power and efficiency for various yacht hulls. This allowed us to select a suitable thrust, power and rpm for each propeller diameter in the family of blades and set it against yachts of a given size and speed. 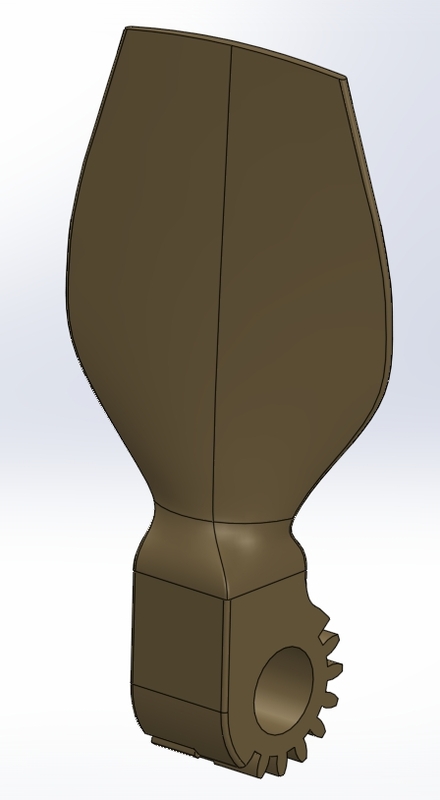 We then designed the blade camber and profile to produce the required thrust from the customer’s shape of blade. 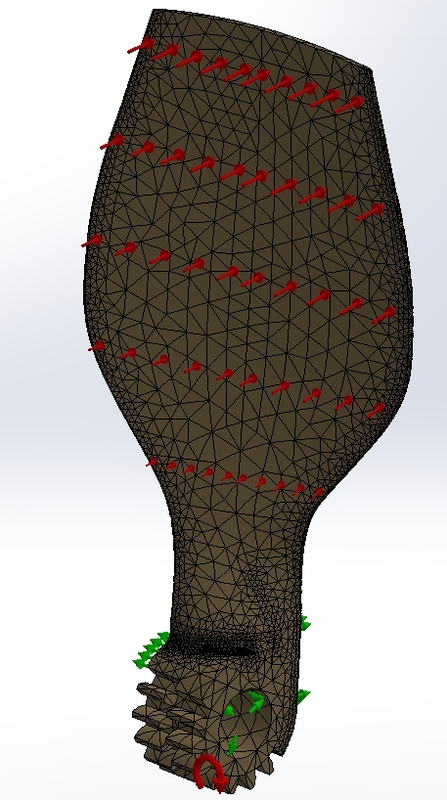 Our consultants built a 3D CAD model and, to save time, we parameterised it so it covered the whole family of blades before building any finite element analysis (FEA) models. The final step was to select suitable blade thicknesses and root radius to ensure that the blade stresses were within the design target. 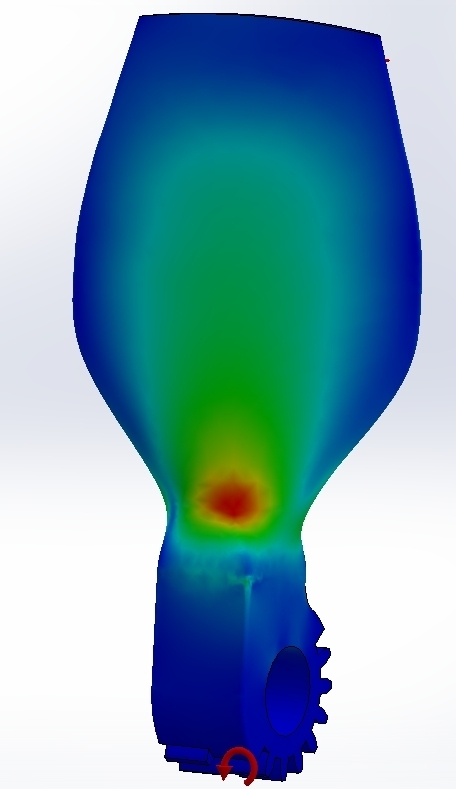 FEA confirmed the stresses and the parameterised model was adjusted to suit. This also allowed us to predict the fatigue lives of the blades. Marine design of a folding propeller frame by UK consultants Coupland Bell.